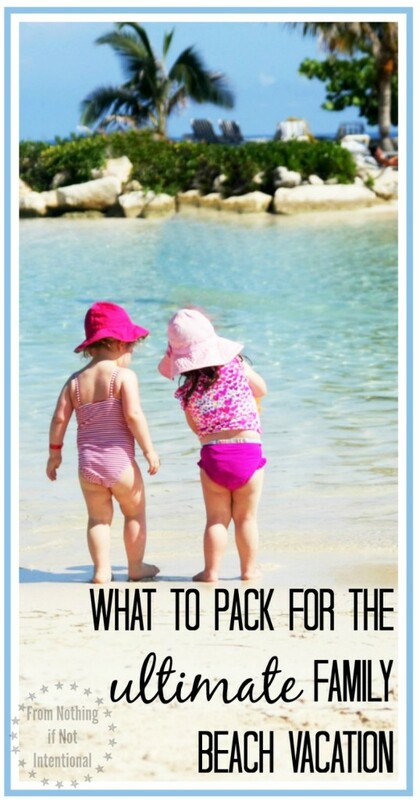 The Ultimate Beach Packing List — Make your next family trip to the beach the best one yet! 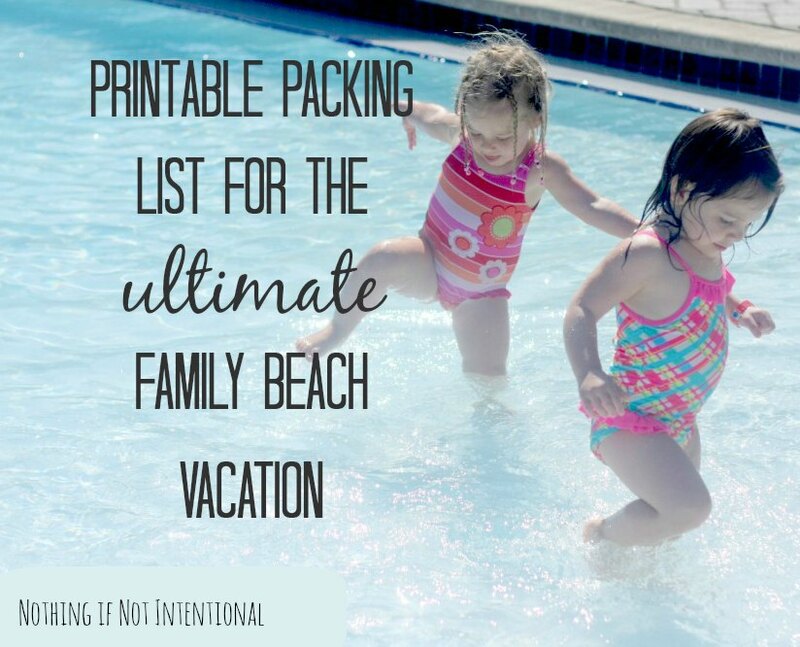 In this post, you’ll find both an essential beach packing list and some fun things you never dreamed you’d take on your beach vacation! You can find the free printable versions of both lists at the end of the post. The fact that memories from our last family beach vacation still haunt me doesn’t mean I’m not daydreaming about our next trip to the ocean. I need sunshine, warm weather, and salty ocean water! I want to play in the sand with the kids, read a magazine, avoid the piles of laundry, take a break from fixing meals, share my love of travel with my kids, and soak up the extra family time. We have no solid beach vacation plans right now, but for those of you who do, I thought I’d share some of the things that make our family beach vacations less-stressful and more fun. 16 things you never dreamed you’d take to the beach. Quick note: by no means do I think you NEED all of these things! They’re just ideas and suggestions; pick and choose what works best for your family. Beach tent. We managed our first beach trips with babies just fine without a tent. 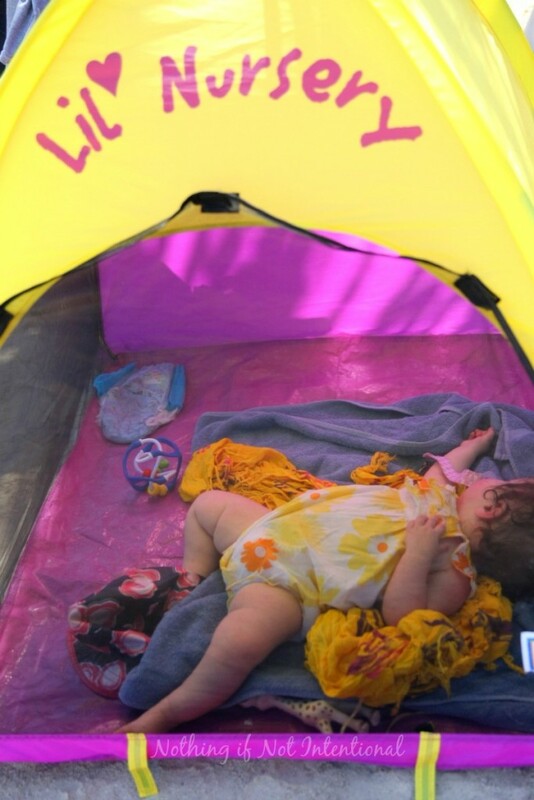 But then we borrowed a baby beach tent when our second daughter was born, and it was life changing. She slept in her shaded little tent while big sister played in the sand. They also make beach tents big enough to shade the whole family! All you need are a few misting fans, and you’ll have your own little beach cabana. Beach toys that do double duty. Kids don’t really need toys at the beach; however, if you bring a few tools or toys, make them justify the luggage space by serving multiple purposes. That dumper or digger that your child plays with at home will do a great job carrying sand loading seashells, and hauling water at the beach! Bath toys (this sea creature set is cute!) are waterproof and usually small and portable. Inflatable beach balls can be rolled around a hotel room and (as the name implies) played with at the beach. Flat Bed Sheet. When we rented a house at the Indiana Dunes, the owner suggested we take one of the flat sheets to the beach and use it as a blanket. Keep in mind that if luggage space and weight is an issue, a sheet is bigger and lighter than a beach towel. If you’d like to upgrade your blanket, check out this sand-free mat that allows sand to pass through but not come back up! Cool, right?! Small umbrella. Not all hotels/houses/resorts offer beach umbrellas, and those that do may offer them for a fee that you’re unwilling to pay. A small, collapsible umbrella is good not just for the rainy days but also for a bit of beach shade. Silverware or plastic picnic utensils. Save your coffee cup and your spoon and offer it to your tot at the beach. Toddlers love to dig, scoop, and poor! Sure, buckets and shovels are nice, but (in a pinch) your used plasticware (read: trash) make great toddler sand and water tools. Just remember to take the trash off the beach when you leave. Ice Cream Containers. 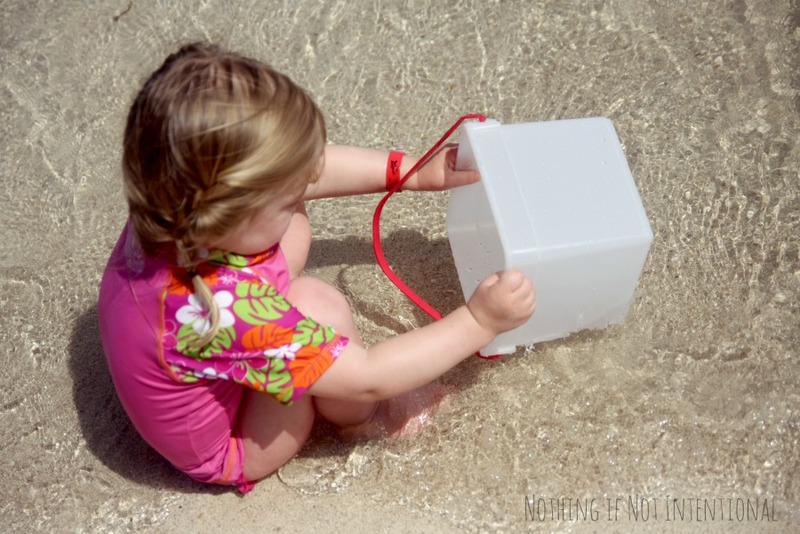 Another great thing to upcycle and take to the beach is an ice cream container. When we fly, we pack these containers full of snacks that we don’t want smashed or spilled. At the beach, the ice cream containers are then used to haul water or build sand castles. Also, you could fill them with clean(ish) water and let little ones rinse off their hands and feet in the buckets before they eat or snuggle up with you on your beach chairs. Mesh laundry bag or hamper. These hampers fold flat and weigh practically nothing, so they’re a great addition to your suitcase. At the beach, use them to corral wet, sandy toys or towels. Coast Guard Approved Life jacket. A life jacket may not be the first thing to cross your mind when you pack your beach bag, but some hotels (like the one we stayed at in Puerto Rico) require them if you plan to play in the pool. These puddle jumper life jackets have worked really well for us. For more ideas for how to make your beach trip a blast without adding to the price tag, check out this post: 35 FREE Things to Do at the Beach with Kids! Kite and frisbee. Two other toys that are inexpensive and small are kites and frisbees. We’ve had a ton of fun with our little Dollar Store kite. Unfortunately, we lost our cool ring frisbee in the ocean. Lesson learned! We should have taken a frisbee we picked up for free or super cheap instead! Jars and bags to collect your “souvenirs.” If you’re going to a beach where collecting sand and shells is allowed or encouraged, pack a jar or container to take home these nature-made souvenirs. Once you get back home, turn them into memory jars like Paging Fun Mums did here! Ocean books and coloring pages. These are definitely not essential. 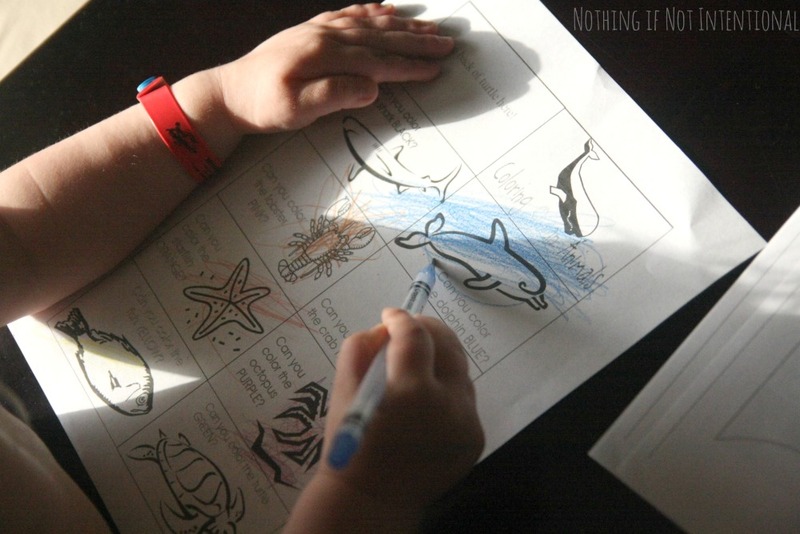 But, after playing all day at the beach, it’s fun for kids to read about the ocean before bed or color an ocean picture while waiting for dinner at a restaurant. Plastic ziptop bags, All it takes is for one little sandy hand to reach into your bag for a snack and your lunch, magazine, and electronics could end up covered with water or destroyed by sand. Destroyed by sand? Isn’t that a little dramatic? Not for us. Sand ruined a camera for us at the beach! We now keep our lenses and extra equipment in sealed bags. A waterproof camera case like this can be good for point and shoot cameras. Plaster of Paris. I’ll admit that I haven’t tried this one. But the rumor is that if you bring plaster of Paris, you can use it to make footprint souvenirs. Click here for the tutorial. Cornstarch. Cornstarch is awesome for getting sand off of legs and bodies. Rub a little on the legs and feet, and the sand will wipe right off. Baby powder works too. A beach-friendly baby carrier. We’ve tried taking a stroller to the beach. Oh, how we’ve tried! But usually our stroller ends up being a glorified luggage rack, since strollers don’t roll well on sand. That’s not necessarily a bad thing. It’s nice to have a place to park your things. But for long walks on the beach with a baby, I recommend a beach-friendly baby carrier like this one. Of course some people never attempt the beach without a beach cart! An empty wipes container to hide your valuables. See the how-to here. 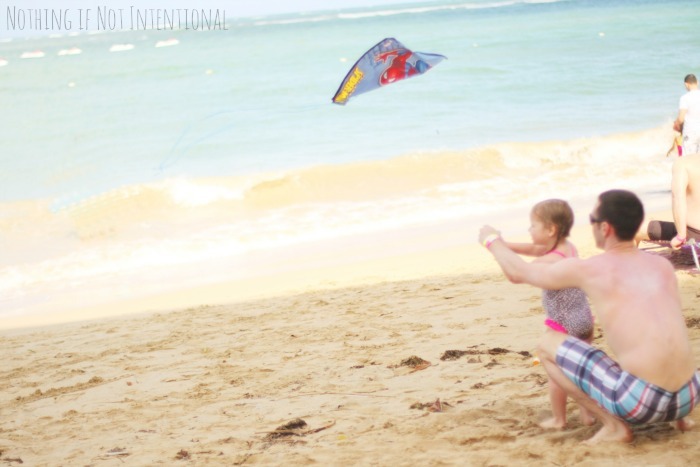 For more ideas and tips for taking babies to the beach, check out this post! Baby Beach Bum: Tips and Ideas for Taking Babies to the Beach. The following is a list of items we consider our beach essentials! Bugspray–sand flies are the worst. Cooler and ice packs–honestly, we don’t bring a lot of cold items to the beach, so a backpack or grocery bag works fine for our snacks. But a cooler may work best for your family! Beach chairs–if you’re not going to a resort where chairs are provided, you may want to bring your own. Camping chairs are a space-saving option. Conditioner–our girls have a LOT of hair. 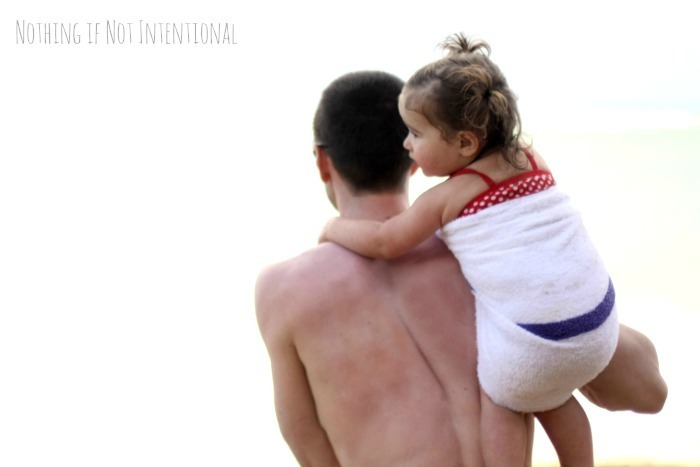 With chlorine, saltwater, and sand, a bottler of leave-in conditioner is definitely a necessity for our family! Wet Brush–these brushes do the best job with gently tackling tangles. See note above for why we consider these necessities! You can download the complete list here! Free Printable Packing List. Not sure which beach to visit? You can read our tips for cruising with kids and taking children to all-inclusive resorts or our reviews of our family trips to Jamaica, Puerto Rico, and the Indiana Dunes. You’ll also find tons of ideas on our Travel with Kids Pinterest board! 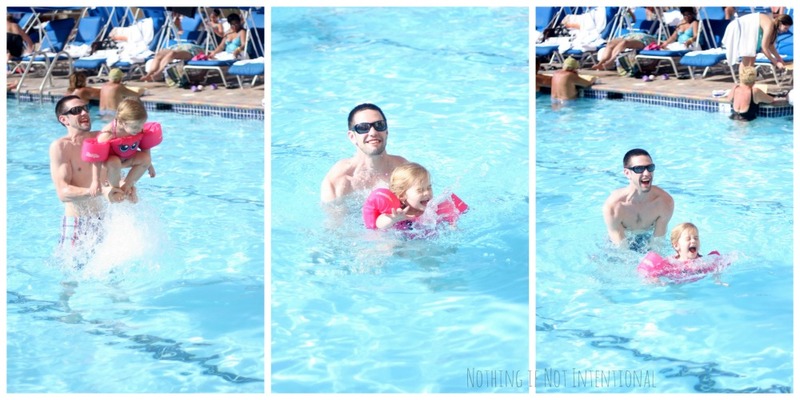 Pingback: 35 FREE Things to Do at the Beach with Toddlers and Young Kids!